Board — Cape and Islands Rowing Association, Inc.
Lois has a degree in Nursing from Boston University and enjoys a lifelong interest in health and well being. She became involved in rowing on the Cape in 1988, first as a parent, then as a novice with Barnstable Rowing Club. In 1990 she co-founded Cotuit Rowing Club. In 2000 she joined Cape Cod Rowing where she served on the board and competed in regional races including Head of the Charles, and at FISA Masters in New Jersey and Canada. 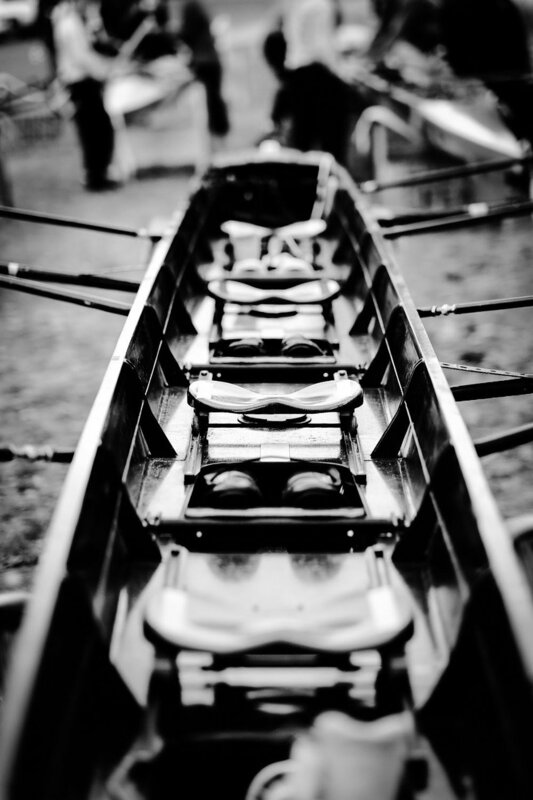 It has been her goal for many years to have the rowing clubs on the Cape collaborate to enhance the sport for all. Coach Howard's rowing career began at the start of the second year of Community Rowing Inc. (CRI) in 1986. Her involvement with CRI included serving on the board of Directors, volunteer coaching, helping to implement rowing for disabled children and, most fun of all, competing with the competitive women's program. As a member of both CRI and Cambridge Boat Club she has won an array of medals in Masters races on the national and international stage. Coach Howard is a certified indoor rowing instructor and is currently teaching classes at Chatham Health and Fitness Club. John rowed in high school and college many, many years ago. He served as a volunteer coach for Nauset Tech Crew. He is married with one (non-rower) daughter, a rower son-in-law, and three future rower grandsons. He shares his gifts in service to a vision of a very robust rowing community on the Cape. Carol has been a rower for 26 years. She is a founding member of the Cotuit Rowing Club (est. 1990). She raced competitively in the 90's in New England and the HOCR. More recently, she has raced her 1x in New England and three times in the HOCR. She has rowed on open water rowing tours in fifteen countries all over the world and has taken her Alden 1x down the Connecticut River and up the coast of Maine. Sharlene recently moved to her family's home on Harwich's Long Pond and is a new rowing convert. A recovering tennis player, she's an enthusiastic participant in our Learn-to-Row program. A brand strategist and veteran of the sports industry (LPGA, Spalding Sports, Benetton Sportsystem), Sharlene is a branding author and entrepreneur who brings to Cape & Islands Rowing a keen desire to support outreach, fundraising and our communications. Sharlene is the Founder/Principal Brand Strategist of Brandstoria and Director of U.S. Strategy for teamup, helping build high performance sports brands. She is also the Co-Founder of The Next Play, igniting a new generation of confident, bold women leaders. Sharlene earned her M.S. from the University of Pennsylvania and B.S. from Babson College, where she's served as elected Vice President of the Alumni Association Board for multiple terms. Marc began with CIRA as a rowing parent and stayed on to help after his son graduated. A force for good, Marc helps with all sorts of building and restoration of equipment, building much-needed oar racks in the trailer; wooden storage box reinforcement; providing extraordinary bakery treats when needed; acting a liaison for rowing parents; building and maintaining the CCYR website, etc., etc., etc. Marc plans to join the men's rowing class this summer. He has helped us EVERYWHERE!!! Allison was a member of Barnstable Crew, the first junior rowing program on the Cape. She competed in the Junior World Championships as a member of the US Junior National Team, and was a national champion, rowing for Princeton University. CIRA supports all rowers on Cape Cod. We'd like to get to know you! Please subscribe to our mailing list to receive program and event updates by sharing your email below.